Designed for use in General Aviation the Aircrew Lite Lifejacket is worn by passengers and crew of light aircraft in flight around the waist rather than over the shoulders and is always ready for use. You simply peel-back the opening flap and remove the lifejacket from the protective housing and place over your head. Once you are safely outside of the aircraft the lifejacket can then be inflated by pulling the cord and activating the CO2 cylinder providing immediate inflation of the jacket. The lifejacket has a buoyancy of 150 newtons which is sufficient even for rough sea conditions. 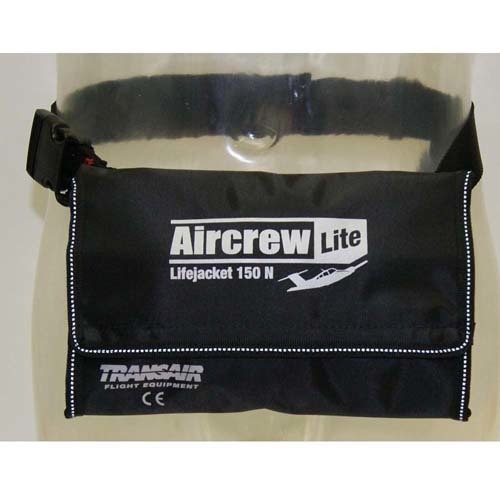 The Aircrew Lite Lifejacket has been especially shaped to support the neck insuring the head is held above the water.